In a glass bowl, whisk together all of the marinade ingredients until well blended. Add pork chops, and cover. Let chops marinate in the refrigerator for at least 2 hours, overnight is even better. Drain chops and pour the marinade in a sauce pan and cook until reduced by half. Grill chops 6 to 8 minutes per side at 400 degrees F or until chop reaches internal temperature of 145 degrees F, basting every few minutes with marinade. 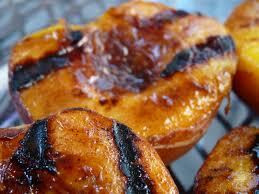 Once chops are done, brush with remaining marinade and let them rest 5 minutes before serving. Note: This recipe was inspired by: @OldFashRecipes we just adjusted it to New Age Soul Food Style. *We’re aiming for a spread healthier than traditional mayonnaise i.e. a mixture of olive oil and vinegar (equal parts); pureed avocados, lemon, and orange juice, etc. 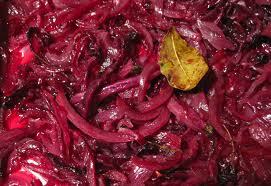 In a medium bowl or food processor mix together the ingredients for the Spread. In a glass casserole dish or a bowl, layer the salad ingredients starting with the lettuce then the cucumber, red pepper and the corn or peas. Then pour on the spread, distributing over the top layer, sealing around edges. Add a layer of tomatoes and sprinkle the cheese over the top. Cover with plastic wrap and place in refrigerator overnight, for flavors to permeate. Please do not toss before serving. 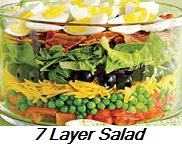 A very beautiful and tasty salad, perfect for potluck and church dinners! 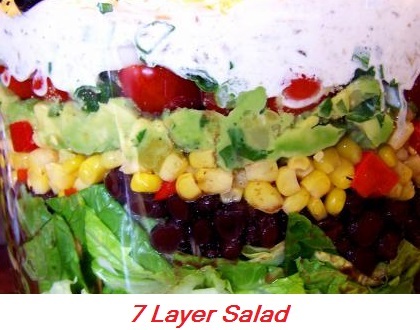 Note: Layer these salads with any fresh fruit and/or vegetables you desire. Just remember to keep it healthy and add a rainbow of colors. Above all remember the dressings, meats and processed ingredients you add are going to determine the healthy aspects of your salad. 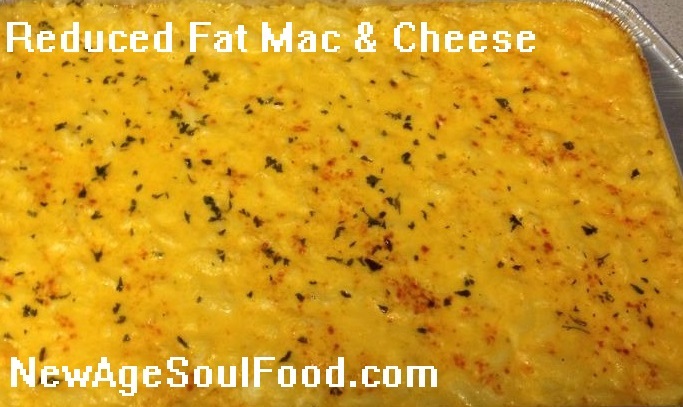 Coat a large baking dish or a sheet pan (cookie sheet) with the olive oil. Mix together the flour, salt, pepper, garlic, onion in a bowl large enough to dip the tomatoes in. In another bowl large enough to dip the tomatoes in, whisk together the eggs, water, salt and pepper. In the 3rd bowl add the panko bread crumbs (I like to use panko bread crumbs because they make a very crunchy coating). You can get panko bread crumbs from the Asian section of the supermarket or any Asian markets. Then dip the floured slices in the egg mixture 1(one) at a time, shaking off the excess egg. 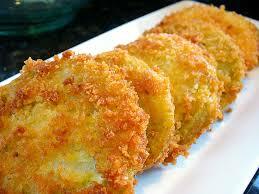 Then dip the egg coated slices 1(one) at a time in the 3rd bowl of panko bread crumbs coating each slice thoroughly. Place the slices in the baking pan in a single layer with space around each slice (you may need 2 pans). Bake in a 400 degree F oven for 6 – 8 minutes. 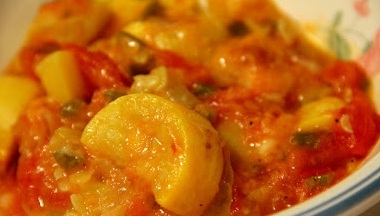 Flip the tomatoes over and continue baking until bottom side is brown, approximately 1 – 2 minutes. Note: I have used this same recipe for squash, zucchini and eggplant. Cut baguette into 1/2 inch slices, place on a cookie sheet. In a medium bowl, mix remaining ingredients. Let stand 10 - 15 minutes, stirring occasionally, to combine flavors. Toast baguette slices in oven about 10 minutes or until golden brown, turning halfway through. 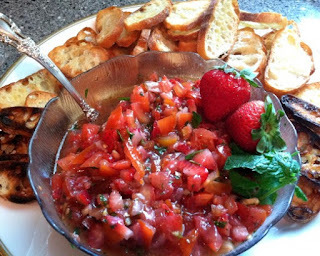 Serve salsa on the toasted baguette slices. Heat a grill pan on the stove and spray with oil. 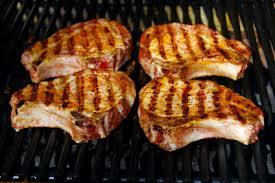 Make grill marks on 1 side of the pork chops then place them in the oven and broil for 6 minutes on one side. Broil the second side. Use a meat thermometer to check the internal temperature then cook until the temperature reaches 145 degrees F.
Let chops rest for 3 minutes before serving. 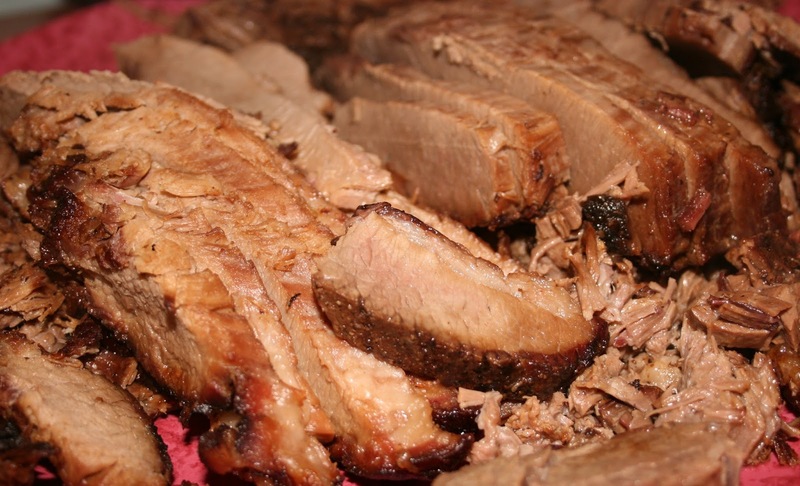 The secret to cooking a brisket is twofold– brisket needs fat and time to come out tender and delicious. Choose a cut with nice marbling; the more fat you can see, the more tender the meat will be. Very lean cuts can turn out tough no matter how long you cook them. 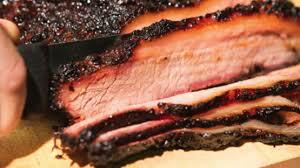 And of course, allow yourself plenty of time to cook your brisket. If you can, make it a day or two ahead– the meat will improve with time. I tried to make a traditional Jewish brisket but since I was serving this dish to African Americans and Latinos who were tasting brisket for the first time, I decided to kick it up a notch with a little Caribbean flavors. 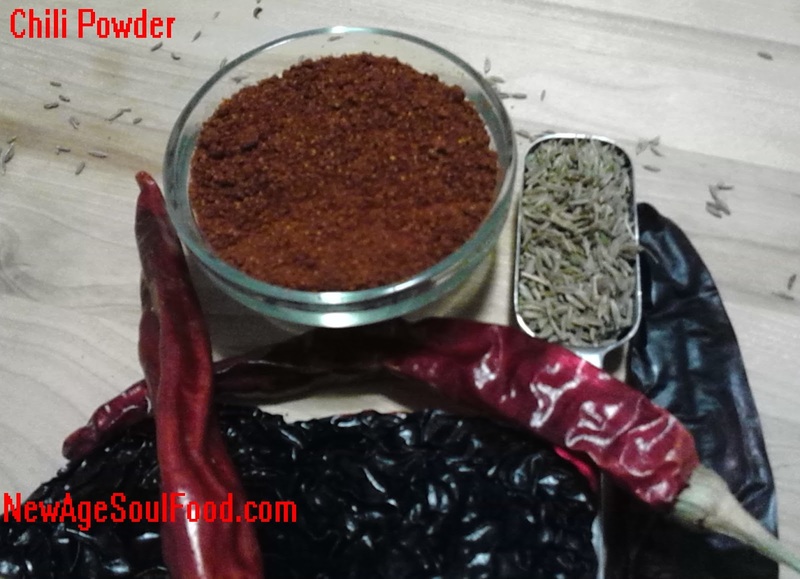 Hence the cayenne pepper, allspice berries(pimentos) and ginger. Aside from that, someone in every Jewish family have their own brisket recipe that they know by heart. Salad Dressings are easy as 123!